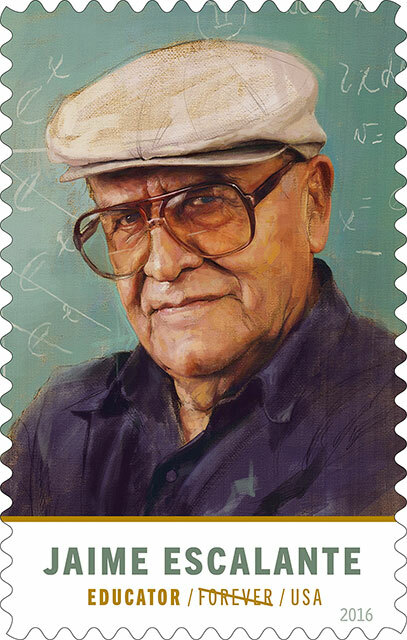 On July 13, 2016, the Jaime Escalante postal stamp went on sale. Jaime Escalante (1930-2010) is the math teacher depicted in the 1988 film "Stand and Deliver". Escalante successfully took, supposedly "unteachable", students from Garfield High School in East Los Angeles and helped them master calculus with many of them going on to take Advanced Placement (AP) calculus their senior year. 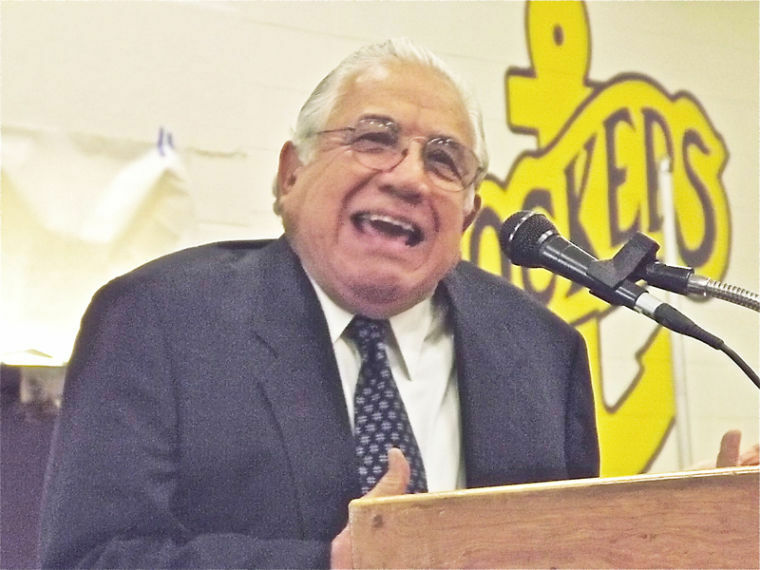 During this time, Henry Gradillas worked as the Principal of Garfield High School and was instrumental in supporting the efforts of Escalante. The film was added to the National Film Registry of the Library of Congress in 2011. "Digitally illustrated by Jason Seiler, the stamp art depicts Escalante in a style meant to resemble an oil painting. Escalante stands in front of a chalkboard on which calculus symbols are visible. He is wearing his signature flat cap, looking forward toward the viewer. The illustration is based on a photograph taken by Jaime Escalante II, on May 6, 2005, in the classroom at Hiram Johnson High School in Sacramento, CA, where his father formerly taught. 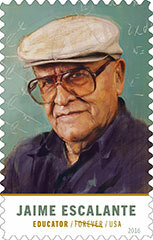 Art Director Greg Breeding designed the stamp with original art by Seiler." On Wednesday, July 13, 2016, the United States Postal Service hosted a First-Day-Of-Issue Dedication Ceremony at Washington Hilton. Henry was invited to attend as an honored guest but was unable to attend due to a natural disaster which left his home flooded and he and his wife stranded. The Press Release is available here. The stamp can be purchased from the USPS website or from your local post office. On September 17, 2015, Henry Gradillas, along with three other individuals and one organization, was awarded the Wisconsin State Superintendent Tony Evers' "Friend of Education" award. The presentation was made at the Wisconsin State Capitol in the Capitaol Rotunda. Henry earned the award for his continued work in education in the Wisconsin school system, including his services as an academic tutor and substitute teacher at Ashland High School. Please see the attached Press Release for additional information. 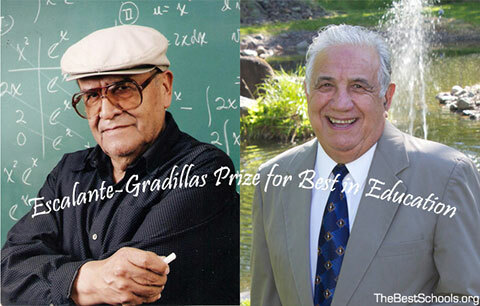 This annual $10,000 award is to an outstanding teacher or school administrator (in alternate years) who exemplifies the commitment to learning, discipline, and high expectations that characterized Garfield High School when Jaime Escalante taught there and Henry Gradillas was its principal. Recently, TheBestSchools interviewed Henry Gradillas on a wide assortment of topics. Read the interview with Henry Gradillas on the TheBestSchools.org website. View the article on The Daily Press website. Ashland High School and Middle School joined a number of other area schools in holding public observances honoring veterans for their service Monday, the 94th annual Veterans Day held in the United States. At both locations, the solemnity of the events was punctuated by the entrance of the colors by members of the Chequamegon United Veterans and the Bad River American Legion. At Ashland High School, the guest speaker was Dr. Henry Gradillas, a substitute teacher and tutor for the district, who also served as an Airborne Ranger Captain. He is most noted for being the principal at Garfield High School in Los Angeles from 1980 to 1987, a period of time when famed teacher Jaime Escalante helped the school gain fame for its Advanced Placement Calculus program. Under Gradillas' leadership Garfield High School made a remarkable turnaround in many respects. Escalante said the changes he helped to make would not have been possible without Gradillas leadership. That experience was made famous in the movie "Stand and Deliver" starring Edward James Olmos. It is also the topic of a book written by Gradillas, "Standing and Delivering," which outline his no-nonsense view on academic achievement.